Ground Signs (Real Estate) - Our ground signs are great for Realty, Construction, Traffic Signs - Directional, Event Signs, Golf Outings and Job Site Signs. We offer three choices of material Corrugated Plastic, Celtec (plastic) and Aluminum. 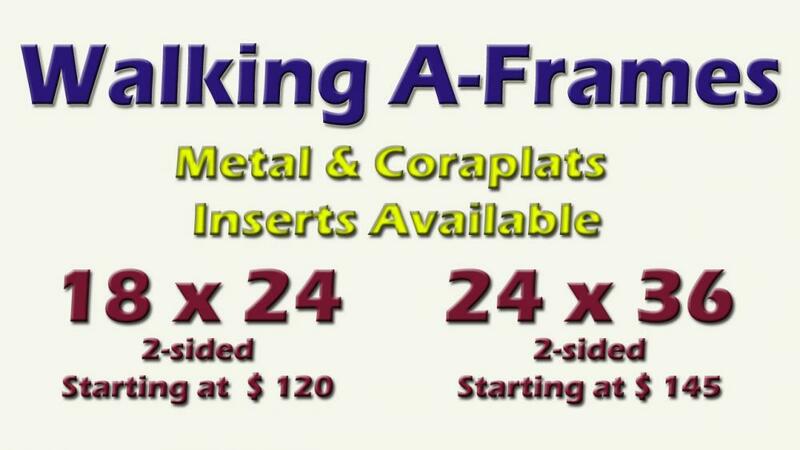 They easily can be used with our Metal Sign frames. A favorite of real estate agents, campaign workers, or anyone who needs low cost, street signs. Corrugated plastic sign (single or double-sided) installs easily by stepping on the cross support bar.